My weekend was mostly spent recovering from the long haul travel back home, unpacking, sleeping, and ... craving comfort food to get over the 30C difference in outside temperatures between Kuala Lumpur and Home. Fall has properly arrived in Scotland and temperatures have dropped over the last couple of weeks. So, what better to relax with than a nice warm bowl of soup? Of course, I also started to miss all the lovely food I came across in Malaysia and I tried to find a recipe that would tick off that craving, too. 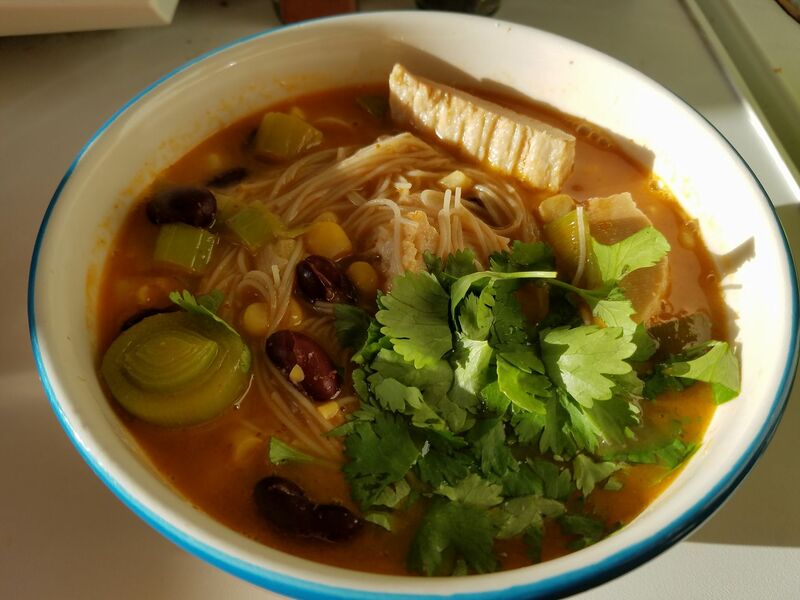 I finally got inspired by some recipes I found for Thai Chicken Noodle Soup - but as I could not be bothered going to the shops to buy ingredients, I improvised with what I could find at home.